We’re thrilled to reveal our gloriously animated cover for Stephen King and Owen King’s spectacular collaboration, Sleeping Beauties. It arrives September 26th in Hardback, Trade Paperback, eBook and Audio and is available to pre-order now. 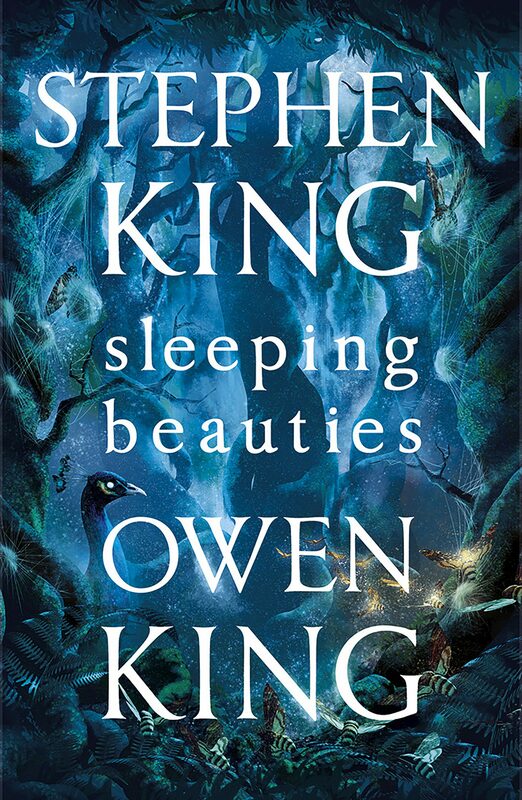 In Sleeping Beauties, Stephen King and Owen King tell the highest of high-stakes stories: what might happen if women disappeared from the world of men? This cover was created by Vasava Studios. Pre ordered months ago for my Nook.Cool cover on hard copy. Hope the story is as creepy as the cover. Have been looking forward to this book for months. Love the cover. Can’t wait for it to arrive. I love this cover and can’t wait for the book. If only the cover could move like the one above. Reminds me of the Glow in the Dark cover from before. I used to have to turn it upside down on my nightstand because it was so bright. This is a really nice cover, congratulations for the artwork! It is also intriguing to understand what the hell is going on ! I ordered mine through Amazon , Left Bank Books sponsor this. Looking forward to this so much.